Chow AW, Benninger MS, Brook I, et al. 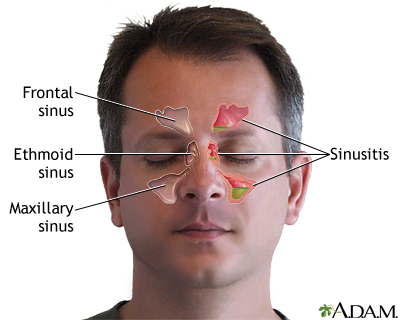 IDSA clinical practice guideline for acute bacterial rhinosinusitis in children and adults. Clin Infect Dis. 2012; 54(8):e72-e112. PMID: 22438350. www.ncbi.nlm.nih.gov/pubmed/22438350. Rosenfeld RM, Andes D, Bhattacharyya N, et al. 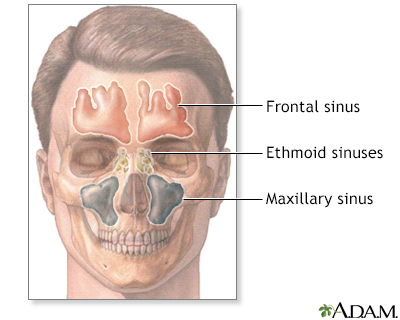 Clinical practice guideline: adult sinusitis. Otolaryngol Head Neck Surg. 2007;137(3 Suppl):S1-S31. PMID: 17761281. www.ncbi.nlm.nih.gov/pubmed/17761281.